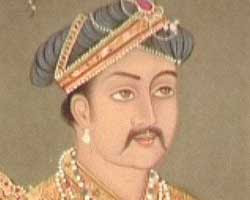 Mughal emperor Akbar's birth anniversary was celebrated recently. This news, which was published in newspapers in Bihar had caught my attention sometime back but I couldn't write about it then. The organisation, Akhil Bharatiya Ashok Sena, that organised the function to mark the '468th birthday of Shahanshah Akbar' is headed by Shakya Ranjit Maurya, who lives in Patna. The event was unique in many ways. Firstly, in India, most anniversaries are either observed by Centre and state governments or organisations. In some cases, seminars or symposiums are organised in universities. But personalities who are identified by their caste groups or religious sects are more commonly remembered. Even otherwise there is no dearth of famous personalities in India but often lesser known persons are remembered while those who don't fall into the confines of caste, region or religion are forgotten. Ironically, Maithili Sharan Gupt is mostly remembered by Vaishya Community though he was a poet of high literary standing. And most functions to remember Chandrashekhar Azad are organised by Brahmin organisations. Kayastha websites and organisations also claim Amitabh Bachchan, Subhas Chandra Bose, Lal Bahadur Shastri and Vivekanand among the heroes of community. Though Amitabh Bachchan is claimed by Allahabad and UP-walas also. In fact, freedom fighters are also appropriated in accordance with their caste, regional and religious affiliations. Many social groups that don't have a famous personality to identify with, look for names in history and celebrate their anniversaries, so that they can hold their heads high and inspire the children of their community. 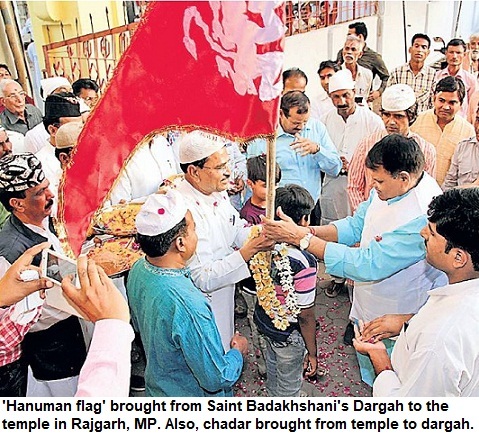 It is this reason that Maharana Pratap, a symbol of valiance, became signifying Rajput pride and the Meo [Mev] Muslims have now begun identifying themselves with Hasan Khan Mewati. However, a personality like Akbar who is termed as 'Akbar the Great' can't fit in such confines. In fact, it's rare for non-Dalits to hold a function recalling contribution of Mahatma Phule or BR Ambedkar. And equally rare for a non-Muslim organisation to hold functions in memory of Hasrat Mohani, Rafi Ahmad Kidwai or even Maulana Azad. It is not just caste group or religion, however, region and community sub-groups also claim heroes. Bundelkhandis and Jhansi residents take extra pride in the Jhansi ki Rani Queen Laxmi Bai. Rajendra Prasad is not just a leader of Bihar but Kayastha groups claim him as a great Kayastha leader. Shivaji is a demi-god in Maharashtra but in neighbouring Gujarat he is not the same sort of hero, as he had attacked Surat. So there is a conflict on this level also. For some personalities there are multiple claimants while some others are forgotten. Those who don't fall in any such category and have less following are not remembered. Phiroz Shah Mehta or Dadabhai Naoroji will remain in text books as the number of Parsis is dwindling. Jalaluddin Muhammad Akbar, of course, is in a different league, as a king, who ruled India centuries ago. Though a Muslim, he was perhaps not as 'pious'. He even initiated a new religion 'Din-e-Ilahi'. Nevertheless Akbar remains one of the most important figures in medieval India. Akbar's contribution towards communal harmony, inter-faith dialogue and his governance apart from shaping the geographical boundaries of modern India is known to anyone. Had he been linked to a 'biradari' or clan, the particular group would be remembering him every year without fail. However, it's not the case. And in this context, it is more important that an organisation remembered him. At the All India [Akhil Bharatiya] Ashok Sena's programme, speakers recalled the Mughal ruler's 'sulah-i-kul' policy as well as his progressive thoughts, social reforms and steps towards bringing order in the country. 1. 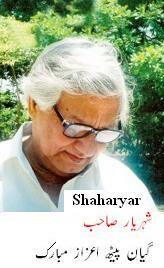 Maithili Sharan Gupt, a poet of Vaishyas! Yeh kya ho gaya bhai! The resounding victory of Nitish Kumar's JD(U) led coalition in Bihar has surprised even the most sympathetic psephologists. Most exit polls had indicated that the NDA was poised to win Bihar but this sort of thumping majority was not predicted. It was clear that a section of Muslims would vote for JD(U). The reasons were simple. Nitish Kumar looked sincere, he kept the state riot-free, his decision to reopen the Bhagalpur riot cases closed by Lalu Yadav, and remaining steadfast on his commitment to let the AMU campus open in Bihar despite the open opposition of BJP's youth wing BJYM, earned him respect among the community. Muslims fear nothing more than a communal riot. During Congress regimes in North India, large-scale riots used to occur in cities with substantial Muslim percentage. In each communal riot, tens of thousands would not only be snatched of their means for livelihood but also lost whatever little they had and took them at least twenty years back. First Congress exploited this fear of riots. In fact, BJP had begun to get a fraction of Muslim vote and its vote share among Muslims would have risen long ago, had the massacre in Gujarat not taken place. Besides, the BJP-led Centre's inaction and the party's refusal to regret the events in Gujarat, turned Muslims even more wary. No wonder almost everywhere Muslims made it a mission to vote for the candidate who appeared in the strongest position and capable of defeating the BJP. In Orissa, Navin Patnaik failed to keep a check on BJP and the latter's sister organisations. The anti-Christian violence perpetrated by VHP and Bajrang Dal, later forced him to dump the party. However, in Bihar, the BJP cleverly played second fiddle. The Saffron think-tank was aware that Bihar has one of the highest Muslim concentration (17%) and has regions where Muslim population goes up to 50% or even more so it was prudent to use Nitish's charisma. While Nitish Kumar succeeded in keeping his secular image intact, perhaps the Sangh Parivar also kept a measured stance as successive failures to form government in the Centre made them review their strategy. The lumpens were kept in check and Hindu remained on the backburner. The decision to open Bhagalpur riot cases earned Nitish Kumar goodwill. But it was his tough stand of not allowing Narendra Modi for campaigning in Bihar, that proved crucial. Indian Express' editor-in-chief Shekhar Gupta mentioned how a Urdu teacher at a rally told him that Nitish is 'sher ka bachcha' as no one else could do it elsewhere. The tag of lion for not letting Modi into the state, is not unusual. Apparently this had caused enough strain in the coalition but Nitish stuck to his stand. Gujarat carnage is etched in collective Muslim consciousness as it was first large-scale riot shown on live television. Meanwhile, the other Modi, Sushil Kumar Modi, as Deputy Chief Minister has all along maintained the image of a moderate. It is this sort of moderation which is expected from a right-of-centre party that aims to govern a nation of 110 crore. The lack of development and the poor governance had dented the image of the state. In fact, the word 'Bihari' had turned into a derogatory term. This affected all Biharis irrespective of caste and creed as it hurt their pride. But during Nitish Kumar's regime, crime was controlled and law-and-order restored. Things were looking up and as a result he has received unexpected support from all quarters. Right now the BJP is buoyed with its success. But the truth is that the NDA coalition has won Bihar over the plank of development. Any responsible government has to be inclusive and must ensure that all segments of population are looked upon as equal partners in shaping the destiny of nation or the state. Despite having several polished and mature leaders at the national level ranging from Sushma Swaraj to Arun Jaitley, there is no dearth of communal and lumpen elements in the party who have an open communal agenda. In Bihar, Nitish Kumar could rein them in. The BJP and the Bajrang Dal-VHP cadre also remained subdued as victor was in sight because of the alliance. But the million dollar question is whether the BJP change the course at the national level and emerge as a right-of-centre but moderate political party? Due to Darul Uloom Deoband's historic role and its Ulama's recent social initiatives, one could have ignored a couple of controversial fatwas but the latest fatwa has once again proved that there is something seriously wrong with the seminary, especially the Darul Ifta or the 'Fatwa wing'. It is no longer an aberration when the Darul Uloom opines that even if a person has uttered the word 'talaq' thrice and his wife couldn't hear it, the divorce takes place. In fact, the query was about whether the marriage is annulled when a person has said 'talaq' thrice over phone when the wife has heard and it happened in the presence of a witness. But in the reply, the seminary went ahead and answered something which had not been asked. The mufti said that it is not required whether the wife has heard it or not, or whether there is a witness around. The talaq is valid. Even when the wife has not heard [she is not aware]. I am sorry but this fatwa is unjust, it is clearly against women, it is irresponsible and against the spirit of religion. 'Talaq is valid even if the wife hasn't heard the word thrice, the talaq is valid', is the Times of India report. And though fatwa is a mere opinion that is not binding, it sends a message particularly when it comes from such an institution. While on one hand, Ulema in many countries accept that 'three talaqs' in one go ought to be considered as one, the Indian Ulama continue to behave irresponsibly. It ruins countless marriages and puts a sense of fear among women. ﻿ Several major Muslim countries have banned the 'triple talaq'. The pronouncements have to be at regular intervals, so as to give the couple a chance of reconciliation. As marriage is a contract, talaq is an option but Islam discourages it, and it is considered a repulsive act though acceptable when it becomes impossible for a couple to live together happily. Recently, there was a Deoband fatwa in reply to a query from a man who had jokingly typed the word talaq thrice during an internet chat session with his wife and in this case also Darul Ifta had said that the divorce had taken place. Whether a man is drunk or the wife has not heard it, it is all the immaterial and the Ulama not just pronounce talaq, they in fact seem almost eager to pronounce talaq on every question relating to marital dispute between husband and wife. Is it a joke? Sorry it's too serious to be a joke. It affects lives, hurts clans and it also serious dents the image of Muslims. When there is no dearth of Ulema, who claim that 'putting out the word talaq in one sitting' is raj'i talaq which is not permanent and woman can return to her husband, the Ulama remain admant. On one hand, the Deoband Ulema had chartered an entire train and taken it to Hyderabad to deliver the historic fatwa against terrorism, held anti-Terror conferences across the country and now they regularly issue diktats that Muslims must not slaughter cows in India, as it hurts our Hindu brethren. These things have earned them goodwill. They go the extra mile to ensure that there is political correctness in their approach and statements. However, when it comes to internal issues of the community, particularly, the state of women, they remain rigid. There is no thought given to what leading Sunni scholars have said about the practice of 'triple talaq' and its misuse. Ideally there should not be any institutionalised clergy in Muslims. However, there is one and perhaps it is needed to an extent. But with its narrow interpretation of Islamic principles, the leading institution has shown itself in poor light. News in Urdu daily Siasat, Hyderabad published on November 16. The practice of seeking answer to every issue on website and obtaining online fatwas has created lot of controversies earlier also. In the past, mischief-makers have also misused it by asking frivolous queries and also sought answers on delicate issues, twisting them latter to tarnish the image of the seminary. But now Deoband itself seems scoring self goals with the unique fatwas. Not just Shias, Sunni majority countries from Indonesia in the far East to Turkey and even Pakistan, have held 'triple talaq' as unlawful. What prevents the Ulama to join heads and think over it? Social movement and proactive role of Muslim community is a must in achieving this objective. Either it's Deoband or any other institution, it is not above criticism. Ulema must introspect. It is timely that they should go away with their illogical and irrational interpretations. Not just them, the prestige of the community is also at stake. In mosques and Islamic shrines in Southern India, I have often noticed Roman Urdu, that is the language [Urdu] written in Roman script. On the left is a photograph which I clicked in a mosque. It is about a 'Zaroori Elaan' [Important Announcement] that the particular mosque is now 'Khud-kafeel' [self-sustaining, self-supporting] and donation must not be paid to any person who demands money either for renovation or for other needs of the mosque. The language is quite standard and it can even be termed chaste Urdu. Roman Urdu was used extensively before independence also, particularly, in Indian Army where it was the standard language used for communication. Urdu script is no longer commonly seen in public places in most parts of the country, except a few Cities. Even in Muslim ghettos in most towns, Urdu signboards are now becoming a rarity. As far as decline in Urdu signboards is concerned, one of the reasons is that painters proficient in Urdu aren't easy to find at all times. Lack of Urdu medium schools and fewer private schools teaching Urdu as third language compound the problem. Of course, other reasons are well-known and oft-repeated. Situation in UP, Bihar and other parts of North India are not favourable for the language. In Southern India, Urdu continues to flourish in pockets in Karnataka, Andhra Pradesh and even Tamil Nadu where the region around Vellore has Urdu-speaking populace. Sangh Parivar: Cultural Nationalism, Hardline Hindutva or Terrorism? 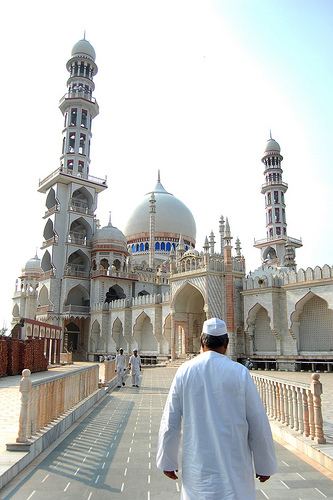 If persons linked to the Sangh Parivar were involved in planning and executing the terrorist attack on Ajmer Dargah, a Sufi shrine that symbolises the unique blend of Hindu-Muslim culture that evolved in India over a period of centuries, it should send the Rashtriya Swayamsevak Sangh (RSS) in a serious introspective mode. Denial, blame game or terming it a political move won't help. It is very clear that RSS' activists, workers, pracharaks and even godmen have been involved in series of attacks on Muslim shrines including mosque, Islamic gatherings, Muslim-dominated pockets and other places. The chief conspirators even include Sadhus [or Sants] like the absconding Terror Swami Aseemanand who allegedly planned the attacks or Dayanand Pandey who is in jail. In case of Pragya Thakur, the Parivar first defended her and later disowned her. Even if a majority of Sangh Parivar activists join the group due to their belief in cultural nationalism, somewhere there is a tendency to drift towards fanaticism which later takes them to anti-national activities and subsequently towards terrorism. If a 'patriotic' organisation gives birth to such individuals, shouldn't this be a cause of worry for Nagpur-based mandarins? So if there were some Muslims involved in terrorism, there are now several Hindus and that too from a rashtravadi or 'nationalist' organisation. So isn't it more serious for RSS that the nation-builders are turning the destructors? When Samir Kulkarni's name appeared, the RSS leaders said that he was a hardliner and that was the reason that he had been expelled. But the fact remains that he had been associated with RSS for long. Soon names began appearing one after the other. Sunil Joshi, Ramji Kalsangra, Devendra Gupta, Sandeep Dange, Rakesh Dhawade, Lokesh Sharma et al. Either it's rogue elements of Bajrang Dal, Sadhus linked to VHP, shooters like Sudhakar Rao Maratha or ideologues like Indresh, the RSS can no longer shun its responsibility. If it has evaded terror tag, the reason is that the Parivar has expanded hugely in the last couple of decades. It has over a hundred active branches working in almost all sections and it has managed to get sympathisers in almost all walks of life. But this is no longer enough to keep its name clean. The growing number of fanatics in Sangh Parivar and its affiliate groups should be a cause of concern for the group. The top leaders now express surprise at the development though they must be aware of the trend. Forget blasts or terrorist attacks, leave aside VHP's rioting in Gujarat or anti-Christian violene in Karnataka & Orissa, even ignore the role of the RSS prior to independence and the charges on it during Mahatma Gandhi's killings, there are enough cases even other wise to prove the involvement of its cadre in subversive activities. In 1992, the death of a Sangh Parivar worker during blast in the VHP office in Neemuch where bombs were being assembled, is hardly mentioned in media. But many would recall the blast during bomb-making in Kanpur when two Bajrang Dal workers had died a couple of years back. Or for that matter the blast in Tamil Nadu's Tenkasi. With the arrest of three RSS workers, the TN police had cracked the case and said that the aim was to spark communal rioting. See story in The Hindu. The modus operandi was similar in parts of Malwa and Maharashtra. Likewise in Nanded, the police had recovered fake beards and skullcaps from the house of RSS worker. This case was closed but reopened later by ATS under Hemant Karkare. Later during Malegaon and Modasa blasts also the motorcycle with Islamic stickers was placed deliberately to give a false impression that Muslim youths were behind the blast. Besides, organisations ranging from Sanatan Sanstha to Abhinav Bharat who were alleged involved in blasts in Goa, Modasa, Thane, Nanded, Parbhani, Ajmer, Mecca Masjid at Hyderabad, Samjhata Express and a host of other places, are ideologically close to Sangh Parivar with RSS activists' role found in these cases. What next? Will RSS take a drastic action? With such a huge cadre, it can do a lot of good ranging from anti-corruption drives to forging inter-religious harmony. Why is it letting its cadre go astray and turn anti-national? Urdu channel or Islamic channel! Early this year the pioneer TV group in India, Zee, launched Zee Salaam, a channel directed at the Urdu speaking populace. It was the third* Urdu channel in India after ETV Urdu and DD Urdu. ETV Urdu has successfully completed ten years and is quite popular in India and abroad. Doordarshan's Urdu channel DD Urdu, which was launched a couple of years back, is also doing well though the cable operators don't relay it everywhere. With one of the oldest TV media groups in the country, Zee, starting a channel, one expected that it would bring original and high quality content to the viewers. 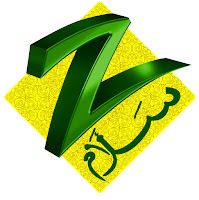 Though the channel looked promising in its initial avatar, Zee Salaam has lately been resembling more of an Islamic channel than an Urdu channel. Hardly any effort is visible in programmes. Of course, there is a large section that likes religious programmes but Zee Salaam more and more looks like a copy of QTV or similar other religious channels. They don't need to spend much when devotional programmes are to be aired through out the day. Perhaps, the idea is that when you can run a channel with few Maulanas, why waste your funds and energy. So there is hardly any news, discussions or infotainment and mostly its clerics who are visible on the shows from morning till late evening. Once in while you may get to see a programme on movie songs or English learning. Unfortunately, Zee group, that has a wide range of channels and can get reports from its language channels across India, seems to be giving little attention to the channel. While ETV's programmes particularly Khas Baat, Alami Manzar, serials and shows for women, are quite popular, Zee Salam is yet to make a mark. Urdu is not about poetry alone, it is the language that is understood by almost everybody who speaks Hindi, Punjabi or other dialects. Zee group should make use of the opportunity and must telecast original content by making use of their correspondents across the world, to strengthen the channel. They can target at least 100 million homes with ease in India alone. Unfortunately, they seem to have abandoned the channel in the beginning. The Sahara group has been planning to start its Urdu channel for several years and now it seems the channel would be finally on air soon. The near-total blackout of the news regarding arrest of one of the most fanatic and religio-maniac killers, Sudhakar Rao, by the national media is intriguing. Media persons, security agencies, intelligence-wallahs were all aware of the shadowy Hindutva-inspired sharpshooter known for target killings and 'eliminating' Muslims, local-level particular leaders and those who were into inter-religious marriages. It has been agreed upon that terrorism has no colour--neither Green nor Saffron-- and it should be treated as crime against humanity but the question is why such cases get unusually less coverage. Sudhakar apparently turned radical after his sister eloped with a Muslim youth. He killed his 'brother-in-law' and later committed a series of murders including that of Congress leader RR Khan. Incidentally in this case the police framed one, Gulfam, though Rao has now confessed the crime. It is all too known that Malwa region [around Indore] in Madhya Pradesh has been the hotbed of both Hindu militants as well as Muslim extremists. It was here that bomb blasts in Modassa, Malegaon, Samjhauta Express, Mecca Masjid Hyderabad and Ajmer dargah and several other case of bombings. In Malwa, the entire SIMI leadership arrested. Sudhakar Rao whom police call Sudhakar Rao Maratha was close to ex-RSS pracharak Sunil Joshi, the hardliner and breakway group leader who was involved in series of terrorist acts and was later found murdered. The National Investigative Agency (NIA) is investigating the case after MP ATS 'duly' closed it. In Madhya Pradesh, Anti-Terrorist Squad has yet to catch any right-wing militant though one of the first such cases of terrorism, the failed attempts to bomb Ijtima gathering was planned here way back in the year 2002-2003. In this case also, it was UP ATS arrested him and handed it over to Special Task Force (STF) and as a result MP police had to accept him. The 'prized catch' didn't enthuse police officials and unlike even petty criminals on whose arrest press conferences are held, in this case a strange hush fell over the officials. With the exception of a few local newspapers, who published the story, even most of the Hindi publications blacked out the news or it was just a single column news. In the past, even arrest of a person with a Muslim ex-member of SIMI with no crimes registered against him, the headlines like 'Dreaded terrorist caught' have been splashed. On this occasion, national media also looked askance. The fact that all these years when Sudhakar Rao was absconding, a senior BJP leader in Madhya Pradesh was in constant touch with him. The cell phone records prove it. But again, there will be no action or probe regarding the leader's links with the man. Crime should be treated with the same contempt whether it is linked to a fanatic Muslim group or a fundamentalist Hindu group and irrespetive of whether it originates in Azamgarh or Indore. However, ignoring hardliners of one group is a disservice to the nation, as creates wrong image among the viewers who don't get to see the entire picture and it leads to biased perception. Is it a deliberate attempt or it happens unknowingly? Either ways it's wrong and media must be fair. Why else there is such a hue and cry when Rahul Gandhi equates RSS with SIMI. The former has been accused of Gandhi' assassination apart from its cadre's role in communal riots as also open involvement of its sister organisations including VHP and Bajrang Dal in rioting in several states. See past links about Indore's terror connection on this blog here. Anisa Sayyed has shot to fame with the gold medal which she won along with Rahi in the shooting event at Commonwealth Games. It has not been an easy journey for the shooter who hails from Pune. She was employed with the Indian Railways and checked passenger tickets at Vile Parle station in Mumbai, but despite her pleas railway officials had refused to give her transfer to Delhi after her husband's posting to the national capital. Determined that she would pursue her passion, Anisa quit the job and left for Delhi. 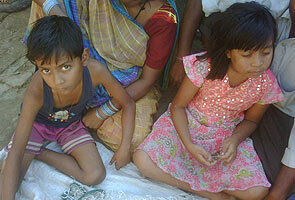 Anisa, who hails from middle-class Muslim family, lived in a small quarter in Pune. It was well over a decade ago that she decided to take up pistol shooting as a professional sport and the medal is a result of her daily toil for almost 12 years. Micky Aigner reports that how her patience and her coach Ghani Sheikh's able guidance brought the girl to national sporting scene. Anisa won gold at the South Asian Federation Medal in 2004 and has also broken the national record with her score of 585/600 which is better than her commonwealth show 574/600. Not everybody is born with a silverspoon in the mouth like say Abhinav Bindra [no question of belittling his contribution] whose multi-millionaire father provided him all possible infrastructure and facilities to practise. Rahi Sarnobat and Aneesa Sayyed have battled against all odds, against the system, against unhelpful authorities and then won. The Indian shooters defeated the Australians 1158-1148 in the 25 m pistol shooting on the second day of Commonwealth Games in Delhi. Rahi Sarnobat is also a small-town girl hailing from Kolhapur. Anisa [her surname has also been spelt as Sayed and Saeed] regrets that all her pleas for transfer fell on deaf years despite all her efforts for two years. "I am grateful to my husband's company that gave me sponsorship", she tells Ajai Masand in this report. However, she stands vindicated as her former organisation, the Railways, have now announced a reward for her achievement. Congratulations to the Maharashtra girls, Anisa and Rahi, for their performance that took Indian medal tally up. Such success stories will certainly inspire more and more girls to take up sports and bring laurels to the country. 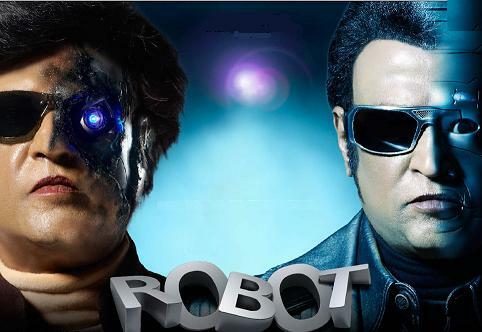 Rajnikanth’s latest flick, Robot, is truly a mind-boggling movie that has been made on a scale hitherto unseen in Indian movies. It entertains the audience with such special effects and stunts that surpass even some of the Hollywood movies. Just a few initial scenes were enough to convince the guy sitting next to me that Salman Khan, whose Dabangg was released recently, now appeared nothing but a toddler after seeing the incredible action scenes in Robot [Hindi version, while it is released as Endhiran in Tamil]. Rajni’s persona and the way he carries himself as a scientist in love with Aishwarya and also the friendly robot built by him in the first half of the movie apart from the evil Chitti [robot’s name] in the second half, is laudable. Enough has been written about the story. The fact is that Shankar has done a marvellous job. The stunts and fight scenes inside the train, atop it and the animations through out the movie are simply spectacular. The story is also original and not a lift or Hollywood adaptation. A friend’s jaw remained dropped for most part of the film. While cine-goers in South are familiar with superhuman stunts, it might dazzle the North Indian audience at some point. However the way script moves ahead and it’s ‘Rajini the Robot’ who performs the action scenes and not the scientist, which make them somewhat credible. It’s difficult to believe that a 61-year-old actor is in the midst of this breathtaking action. While Rahman’s music and the songs didn’t leave much of an impression, Rajinikant [as spelt in Tamil] with his tremendous screen presence and star value pulled the film all alone. In process, he has also given a fresh lease of life to Aishwarya Rai Bachchan’s career that was in doldrums. It is undoubtedly Indian cinema’s major leap in terms of stunts as also animation. There are interesting scenes, fun and also emotion. Dr Vasikaran, the scientist creates the robot, Chitti, which later gets emotions and falls in love with his own maker’s ladylove. A tale of rebellion with science fiction and fantasy unfolds thereafter. Even the robo’s end is no less dramatic. Perhaps the climax is a bit outlandish though it has also been praised lavishly by some critics. It’s a rather longish movie, almost three hours. Most of the audience seemed either transfixed or at least impressed but there was a guy who complained of slight headache in the end. Though there is a difference in taste of movie-goers in North and South considering which certain comedy scenes were cut for North Indian version, the film is all set to succeed across the country. I loved it. It is advisable to watch Robot in the cinema hall. I am sure Bollywood directors and actors would shed the belief that theirs is the cinema which represents India. What I like about the actor is that he is quite down to earth in real life. He behaves like an ordinary man and wears no makeup or wig to appear in public, unlike the rest of our super stars. But when he is on celluloid, he rules the screen like none else and fans get hysteric. The Maharashtra-born Shivaji Rao Gaekwad alias Rajanikanth acted in his first movie in 1975, almost the same era when Amitabh Bachchan arrived on the scene. Thirty five years after, Rajani still rules and plays the hero while all of his contemporaries have other retired or been cast in side roles. For years we have tried to unravel the mystery named Rajanikant. He is a cult in Southern India and Rajini mania is nothing short of religion. He had charged a whopping Rs 260 million [26 crore] for his last movie, Sivaji, the highest rate in Asia, and his films are hit in Japan and Malaysia. For Robot he is reportedly getting aorund Rs 45 crore, which is three to four times what Shahrukh Khan or Amir Khan charge. Isn't this amazing, especially when in North India we remember him more for Andha Qanoon, Hum and Chalbaaz and consider him a regional star? Perhaps after watching this movie, this phenomenon could be demystified in North India also. Despite being a super fantasy, Robot—the costliest film ever made in India, succeeds in holding you hooked till the end. My verdict is out. Superstar Rajni rocks. The Urdu newspapers have reacted to the Ayodhya verdict in a much balanced manner than in the past. In fact, hardly any paper gave emotional headlines and the reporting has stuck to facts so that there is no feeling of loss or dejection among the readers [read Muslims]. Roznama Sahara's headline said that disputed site had been split in three parts and the in the main report, the newspaper termed the judgment as 'historic'. Siasat's front lead suggested that the case was again got caught in legal wrangles while the second headline said 'darmiyani gumbad ka hissa Bhagwan Ram ki jaae-paidaish'. It must be noted that the usage was Bhagwan Ram and not Ramchandra Ji. Masoom Moradabadi's Jadid Khabar reported about division while Kashmir's daily Roshni said that the High court has come up with a reconciliatory solution to the communal conflict. Munsif also restrict itself to reporting bare facts and no opinion. The top lead said that the site will be equally shared. Mumbai-based Sahafat also mentioned that the status quo will remain for three months. However, its another edition reported that 'Faith gets precedence, site to be shared'. Inquilab, which is owned by Jagran group, expressed a bit of disappointment with the headline about verdict being 'unexpected' and less satisfactory. Hamara Maqsad headline screamed 'tarikh-saaz faisla' or historic judgment. Several papers had urged readers to stay calm and special editorials were penned on page in some newspapers. A positive thing was that neither in reports nor in columns, there was any sense of hurt or frustration. It was a clear sign of maturity as journalists and writers had probably understood that in any case it was not possible to shift the idol, so the judges tried to take a proactive line which may not be by the book, but was aimed at resolving this dispute. Even more, while some Hindi newspaper and other vernacular press printed photos of Babri Masjid being demolished, Urdu papers didn't print the old photographs of Kar Sevaks atop the domes of the mosque. While a few politicians on TV appeared to show their disappointment openly, the coverage of the Lucknow bench's order was a reflection of Indian Muslim society. Certainly, everybody has the right to interpret the judgment. However, Muslim street has seen enough violence and communal riots in the past. Muslims have understood how unnecessary emotionalism has cost the community. Frankly, courts in Uttar Pradesh have delivered several judgments in the past 60 years which had apparently stunned the Muslims. This has not happened as much in other states. Either it's the judgment over Aligarh Muslim University [AMU], the cancellation of notification of appointment of 10,000 Urdu teachers or the Allahabad high court verdict [just a few years ago] declaring that Muslims were no longer or a minority, Muslims have seen it all. .
After the idol had appeared in the site, the Faizabad court's verdict in 1951 that first allowed worship and in turn sanctified that it was a temple, have been known to us. Then the mosque turned disputed and was locked. Then a court had in 1986 allowed to open doors for shilanyas. At least, 2010 verdict is far ahead of the past decisions and its spirit should be seen. One of the visitors to this blog, Dr Salahuddin, wrote to me that, "FOR ALLAH'S SAKE FORWARD IT TO Babri Musjid Action comettee. PLEASE READ IT ALLAH HAS GIVEN US AN OPPORTUNITY TO DO SOME GOOD THING FOR GENERATION TO COME. SUMMERY: Do settlement with BJP. Give them piece of land even 1/3rd with respect and dignity.....". I don't know him but such comments represent the realisation that how eager Muslims are for settling this issue and move over. He even sent his cell number and said that he wants to talk to Babri Masjid Action Committee leaders to urge him in this regard. There are pressing problems rather than this dispute. None of the leaders who make fiery speeches have attempted to solve the national issue of Muslims being refused homes [on rent or even purchase in colonies] across urban India. Have we seen these self-styled Muslim leaders who suddenly emerge during such disputes either take legal path or reach out to Hindus to solve this problem which today affects innumerable Muslim youths and families. Energies are needed for communal harmony, socio-economical development of Muslims apart from creation of institutions ranging from orphanages to colleges. It's heartening to see that rabblerousers of the past are increasingly been shunned. Now it's time to take concrete steps for harmony.